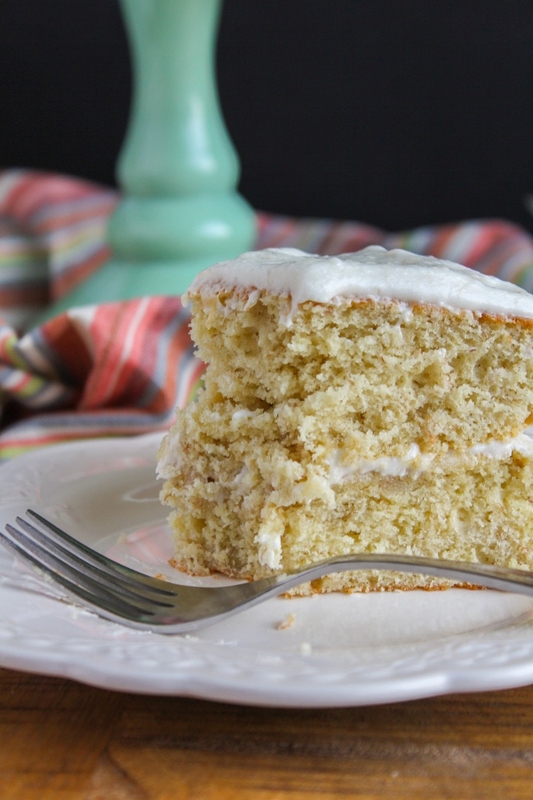 This Banana Layer Cake with Banana Buttercream Frosting one of my favorite family recipes, handed down to me from my grandmother. Although it's a simple cake, it's definitely a showstopper for the holidays or any family gatherings! Not only do I love baking during the holidays, but I especially love baking with my family. We always set aside a day that we bake cookies together (SO many cookies! ), and I enjoy pulling out the tried and true recipes that have been handed down to me. 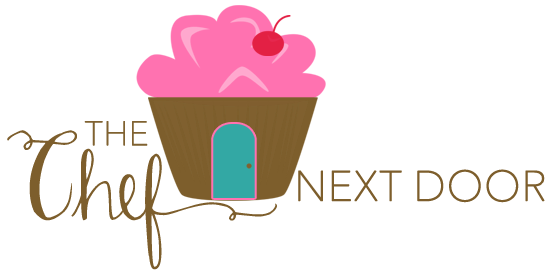 I've got a cute old fashioned recipe box just filled with recipe cards for cookies, cakes, homemade candy, and so much more. 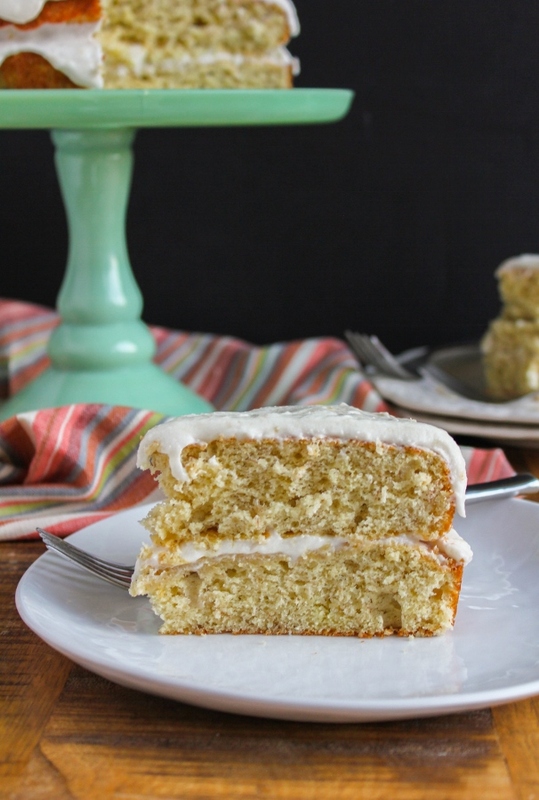 This amazing Banana Layer Cake with Banana Buttercream Frosting just happens to be one of them! 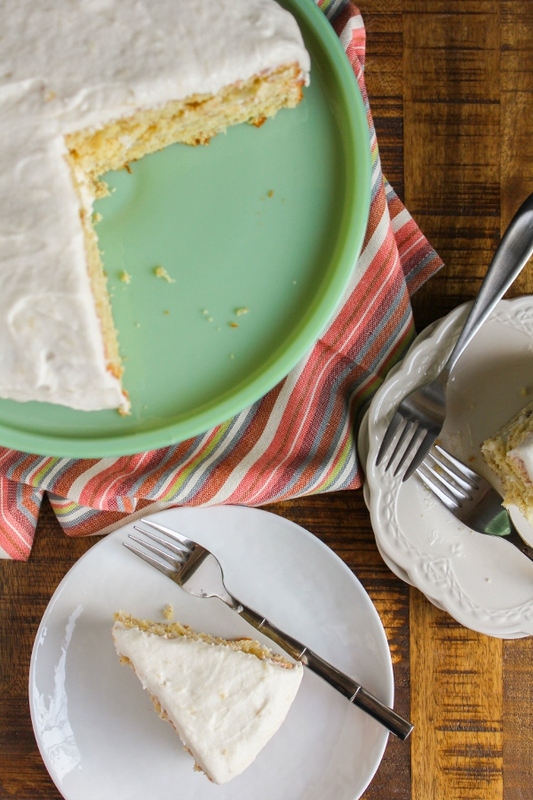 My mom recently shared with me that this was my grandpa's most favorite cake, and my grandma would always make it for him on special occasions. Because my grandparents lived in Louisiana and I only saw them twice a year, I never realized that he liked it so much! 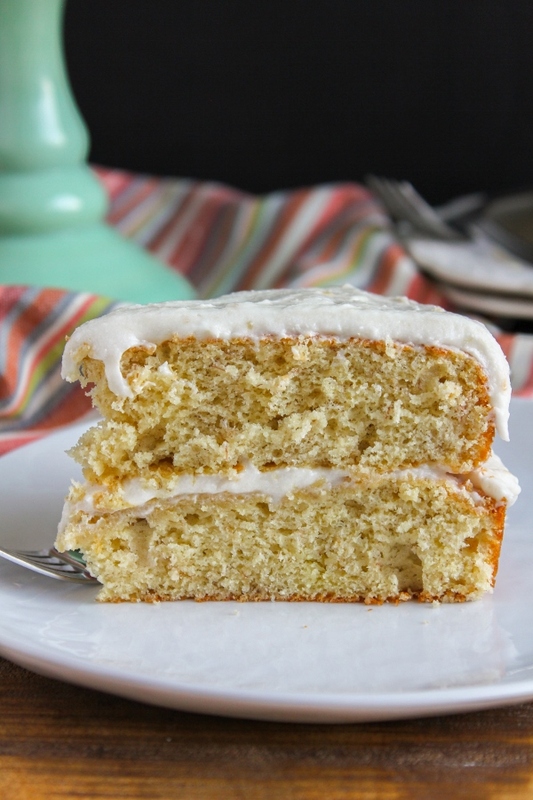 It's a simple cake, and very easy to make, but the flavor is incredible. You get bananas in every bite, and it's just as beautiful as it is delicious. My mom has developed a sensitivity to gluten over the past few years, so I decided to make this cake gluten free, just for her. I used my favorite GF flour, Bob's Red Mill Gluten Free 1-to-1 Baking Flour, and the results were perfect. The cake is very light and tender, which is one of my favorite things about it. 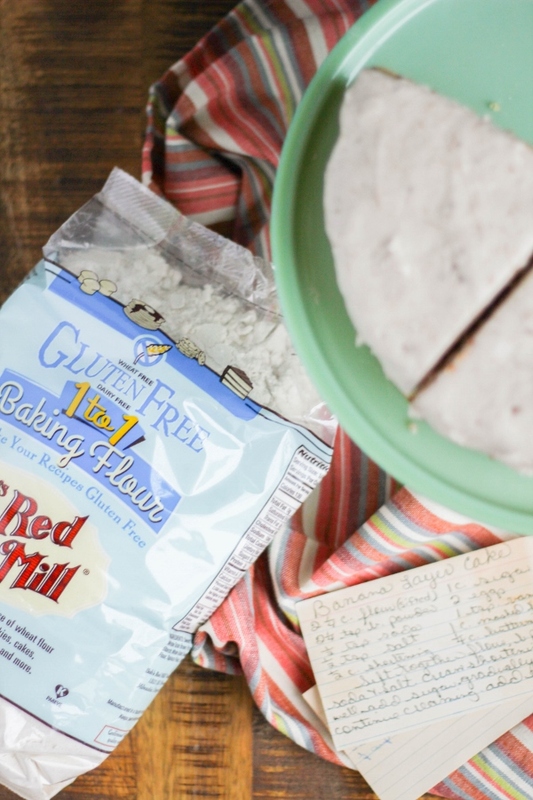 If you haven't used the Gluten Free 1-to-1 Baking Flour before I highly recommend it! It's perfectly formulated for baked goods and there is no need for additional specialty ingredients or custom recipes. Plus it has a terrific taste and texture! Click here for a special Bob’s Red Mill coupon. Do you have a favorite family recipe that you always make during the holidays? Share with me in the comments below! Preheat the oven to 350 degrees. Spray two 8-inch round cake pans with non-stick baking spray and set aside. In a medium bowl, whisk together the flour, baking powder, baking soda, and salt. In the bowl of a stand mixer, beat the butter and sugar together until light and fluffy. Add the eggs, one at a time, beating well after each addition. Add the vanilla and bananas. Alternately add the dry ingredients and the buttermilk to the mixer, a little at a time. Mix until smooth. Bake the cakes for 25-30 minutes, or until they are lightly brown on top and a cake tester inserted into the center of the cake comes out clean. Allow the cakes to cool in the pans for about 15 minutes, then remove them to a wire rack to cool completely. While the cakes are cooling, make the frosting. Mix together the bananas and lemon juice. In the bowl of a stand mixer, cream the butter well. Add the bananas. Slowly add the powdered sugar, a little at a time, until the frosting is smooth. 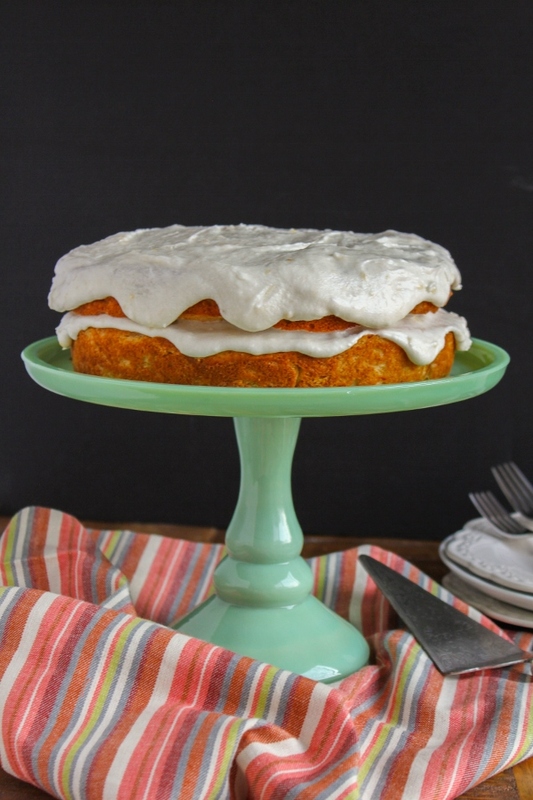 Place one of the cakes on a cake stand or platter and spread a layer of frosting on top. Place the second cake on top and spread with the remaining frosting, allowing it to go over the sides just slightly. Serve immediately.